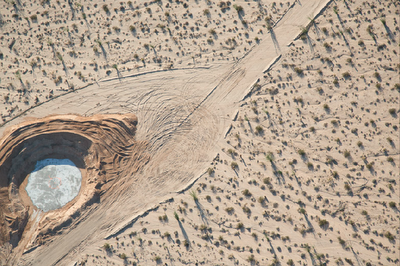 The September issue of the Sierra Club Desert Committee's Desert Reportis now available, and contains some great articles on a range of issues impacting desert conservation. Check it out! Rooftop solar is already revolutionizing the way we think about energy. Instead of letting utility companies call the shots, destroy our wildlands, burn fossil fuels, and then send us charge us for this destruction, local solar installations allow us to invest in our communities, cut carbon emissions, save wildlands, and give us leverage over our utility companies. This is frightening to utility companies, and they have sought to weaken any policy initiatives that would encourage greater adoption of rooftop solar. The death of desert solitude. Pattern Energy has begun clearing beautiful desert near Anza-Borrego State Park for the nearly 16 square mile Ocotillo Express Wind project. Once completed, the facility will consist of 112 wind turbines, each one standing over 400 feet tall, and requiring wide new roads carved into the fragile desert soil. Photographer Phillip Colla gives us a birds-eye view of the beginning phase of the destruction with a series of images available at his website. The photos were made possible by aviation support provided by LightHawk. As climate change, urban sprawl and other industrial uses target our wildlands, we should be challenging ourselves to adopt a more sustainable renewable energy path focused on improving our energy efficiency, and deploying solar panels on rooftops, over parking lots, or on already-disturbed lands. If you have been listening to the the past few stakeholder conferences for the Desert Renewable Energy Conservation Plan (DRECP) -- an inter-agency effort to protect desert ecosystems while identifying areas suitable for renewable energy in California's deserts -- then you know that representatives from the California Wind Energy Association (CalWEA) sound disappointed as their plans to industrialize much of California's desert wildlands meet resistance. Some of the DRECP's proposed development focus areas would only accommodate 2-17% of the nearly 2 million acres to which the wind industry initially requested access. 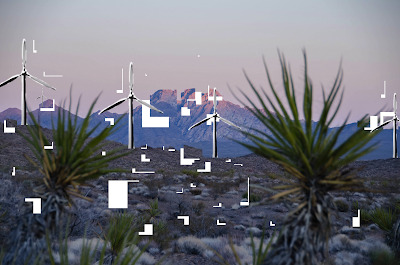 The wind industry expressed frustration during the meetings, wondering aloud why they cannot bulldoze desert, carve hundreds of miles of new roads, and set up massive wind turbines standing over 400 feet tall across public lands. It is easy to overlook the power each individual can exercise simply by switching off lights that are not being used, upgrading appliances, or unplugging your cell phone charger. 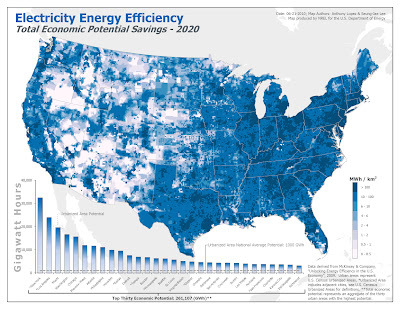 A July 2009 study by McKinsey and Company found enormous energy efficiency potential in the United States, and the National Renewable Energy Laboratory packaged that data in a map that helps us understand just how much money and electricity we could be saving if we lived more sustainably and built more efficient homes and appliances. The 30 cities with the most potential energy efficiency savings could cut a combined 261,107 gigawatt hours (GWh). To put that in perspective, that is the equivalent of shutting down dozens of dirty fossil fuel plants. That energy savings is also the equivalent of nearly 241 desert-destroying solar projects like BrightSource Energy's Ivanpah Solar facility, which has already decimated 5.6 square miles of pristine Mojave Desert habitat. The Desert Renewable Energy Conservation Plan (DRECP) process is proving surprising in how much it could affect -- for good or bad -- California's desert landscape, and it is about to move to the stage of the process that begins to finalize proposed policies in an environmental impact statement (EIS) and record of decision. The aim of the DRECP is to craft a land management policy that would direct renewable energy development to lands assessed to be of lesser ecological importance, and designate other swaths of land as inappropriate for development. The Twentynine Palms Marine Corps Air Ground Combat Center (MCAGCC) in July took one more step closer to expanding the boundary of its facility when it released a Final Environmental Impact Statement -- a document that takes a close look at the impacts of the plan on the environment and current uses of the area. 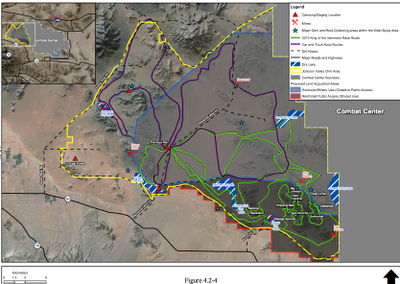 Once the plan is approved, the base will acquire an additional 262 square miles of adjacent land--well over twice the size of Orlando, Florida--for training scenarios in the open desert, but the expansion would also deprive off-highway vehicle riders of a major recreation area and pose a new burden to desert widlife. The Marine Base expansion is just one of many demands on desert wildlands that will continue to challenge the stability of the ecosystem and the recovery of already-beleaguered plants and animals. 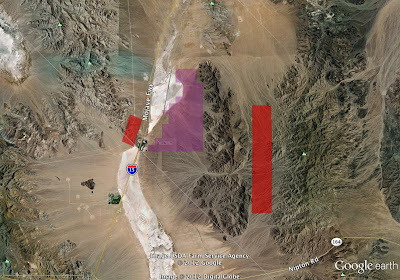 As if climate change-induced drought and aridity were not enough of a stress on our desert ecosystems, industrial wind energy facilities creeping across our wildlands are proving to pose a serious fire risk. As KCET and Friends of Mojave reported late last week, a wind turbine failure caused a fire near Tehachapi, on the western edge of the Mojave Desert. And last month, an older wind turbine in the desert of Riverside County and along the foothills of the San Bernardino National Forest sparked a fire that luckily only burned about 367 acres before it was extinguished. The fires are yet another sign that the wind industry and wildlands do not coexist harmoniously, as some environmental groups have suggested.